WIHD congratulates Naomi Brickel who was awarded by the New York Council of Administrators of Special Education (NYCASE) as the 2018 Friend of Special Education Award recipient at their annual conference today. The Friend of Special Education Award is an award celebrating her contributions and support within the field of Special Education. Naomi was chosen due to her impact supporting schools, families, and students with disabilities. 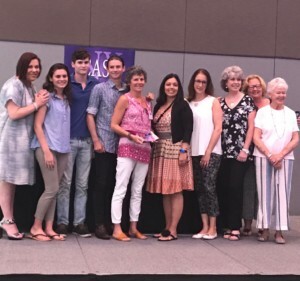 NYCASE acknowledged her selfless acts over many years that have had significant impact to programs and services for students and families within the field of special education. Naomi was joined by family and colleagues as she accepted this award.